Akshay Kumar is fast becoming an actor that focuses on real world impact through his films. While entertainment seems to always be the focus of his work, his movies end up tackling some pretty admirable social issues. One of his most recent movies deal with the issue of the open defecation problem in India. 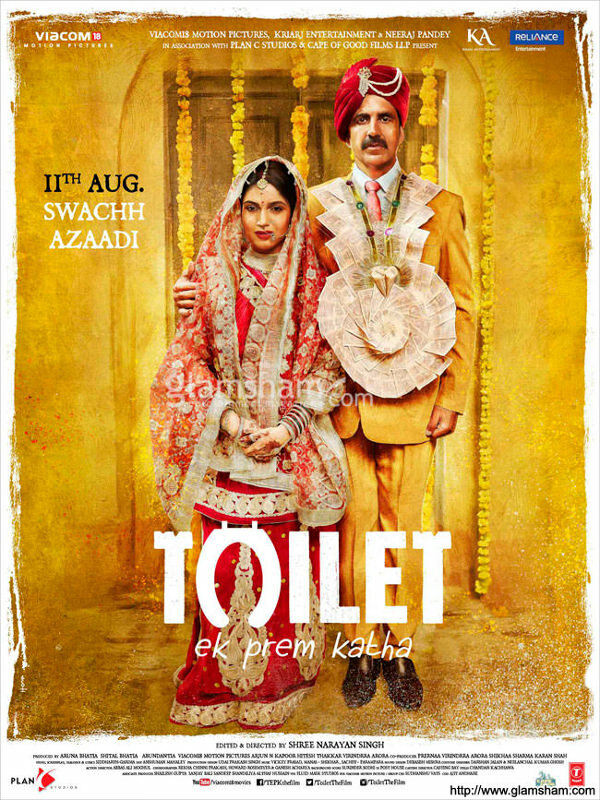 ‘Toilet: Ek Prem Katha’ is a fun and interesting movie that shrouds a Public Service Announcement as a love story. Keshav (Akshay Kumar) is an older bachelor with a religious father who has ridiculous superstitions about who he should marry. Due this strictness of his father, Keshav is very much a daddy’s boy, despite being an Alpha Male in other aspects of his life. Keshav ends up meeting a self assured and highly educated woman in Jaya. 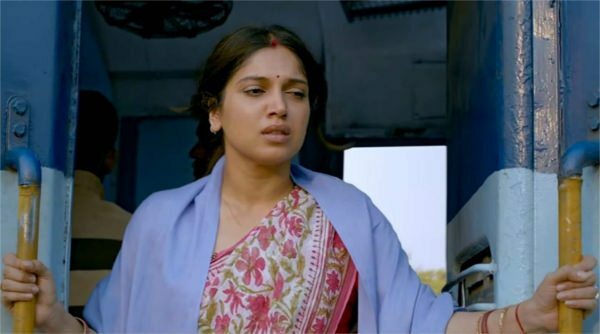 (Bhumi Pednekar) While they initially clash, due to misunderstandings and the formulaic scenarios where girl gets wrong idea about the boy until the boy (or in this case, much older man) makes her rethink her first impression. Even though the love story elements of ‘Toilet: Ek Prem Katha’ (‘Toilet: A Love Story’) isn’t what the movie is about, it’s the aspect that I had the most problem with. Keshav’s pursuit of Jaya is the typical Bollywood trope of the hero being a goddamn stalker! And even though the heroine realizes this initially, she laters sees the hero for what a nice guy he really is. Because, of course she does. Keshav’s love is displayed during a song montage where he takes pictures and videos of Jaya in public, without her knowledge. He does so by covering his face, showing up wherever she happens to be, and other behaviour that could easily be seen as criminal if brought up in a court of law. Keshav then uses one of those pictures of her riding a bicycle, as a billboard for promoting his own cycle business. Again, without her knowledge or permission. When she forgets her phone after yelling at him about this, he uses the opportunity to call his phone from hers, thereby getting her number, then programming his number into hers. It’s creepy and entirely unwanted behaviour. And his grand gesture after she throws a fit at the end of all this, is by basically declaring that he’s awesome, she’s not going to find anyone better, and then deleting their numbers off of each others’ phones. Numbers he deceptively added himself by the way. He then starts ignoring Jaya and obviously this finally makes her want him now. Ugh. The premise of ‘Toilet’ however is not this love story, but what happens after their eventual marriage. Jaya realizes on her first night that Keshav’s father’s house, where she moves in, has no toilet. The women of the village have to get up before dawn, and trek to a far away open field to do their business. Every day. And they do this while risking harassment, embarrassment and obvious hygienic issues of only going to the bathroom once a day. Jaya throws down an ultimatum to Keshav: Toilet or divorce. Keshav tries a few temporary band-aid solutions so Jaya can use a toilet, such as visiting a relatives house, or even having her go in a train that stops for a few minutes at their local station. But ultimately, the need for a toilet separates them, as Keshav has to fight his father's religious stubborn-ness, the government for infrastructure, and his own financial woes in order to put a toilet in his home and bring back his wife. 'Toilet' may not seem like a serious premise for audiences that don't see the open defecation issue, as an issue. From that perspective, the conflict of the movie seems trivial, at times completely outrageous, and so far removed from a lifestyle that we, audiences outside of India, can imagine... it becomes a little difficult to fully invest in the story. There is also the matter of who the hero is. 'Toilet' sees Keshav as the protagonist of the story. It’s about his struggle to get proper facilities for his wife. It's the difficulty he faces and his impassioned and emotional monologues that pushes the story forward. Sure, Jaya gets her moments too, but the second half of the movie has her largely absent, except for song montages and more or less reacting to things that Keshav does. For her, so it makes it okay? This trend of Bollywood movies only being able to tell stories about women's issues through the perspective of a man, is getting tiresome. 'Toilet: Ek Prem Katha' would have been such a better movie if it was Jaya fighting against society and archaic religious propaganda to uphold the dignity of herself and the women around her. With the support of a loving husband. This method of selective principles is also apparent when the movie never once considers the married couple to have a household of their own. When all is lost in the third act, and there will no toilet in Keshav's father's house, the couple decide to get a divorce. At first due to a publicity stunt, but later on, genuinely. Never is it once considered that Keshav can easily move out of his father’s home, and the couple can move into a home of their own. The archaic practise of a married woman having to move into her husband's family home is apparently too steeped in culture for the film to address. One old fashioned practise at a time, I guess. Despite my issues, 'Toilet: Ek Prem Katha' is by no means a bad movie. It's entertaining and engaging; the love story is sweet at times and the songs are pretty catchy. The movie itself however, is nothing more than a massive feature length Public Service Announcement written with the interest of the government in mind. It's a weird blend of public awareness and entertainment, and it doesn’t mind being obvious and transparent about it.